There are a lot of options in cooking grates these days. Of course, most of us end up with whatever comes with the grill we buy and they may or may not be the best choice. Nowadays, however, there are a number of companies producing aftermarket cooking grates that can greatly improve the grills we have. 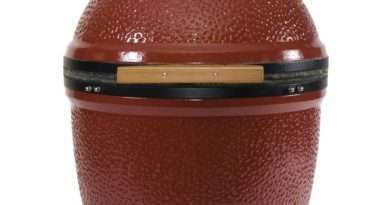 They are also great options for custom grills and smokers, particularly custom charcoal grills that are easily adapted for size. It is important to point out that there is no standardization in the outdoor cooking industry. Just because two grills appear to have the same measurements doesn't mean that the cooking grates can be swapped between them. Further, different grills have different ways of holding their grates in place. Always check with the manufacturer of the cooking grates to find out if their grates will fit your grill. Most aftermarket makers will know this information. Manufacturers of grills probably won't, but they will have exact measurements for their cooking grates. Most people will not know what these grates are, but they really are the best that money can buy. 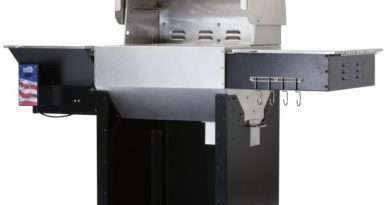 They were first introduced by Modern Home Products for their MHP line of gas grills. 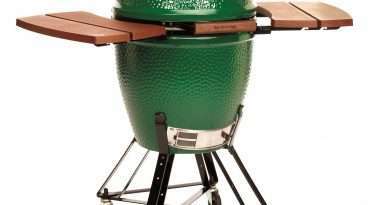 For the past decade, they have been available from a company called GrillGrate. 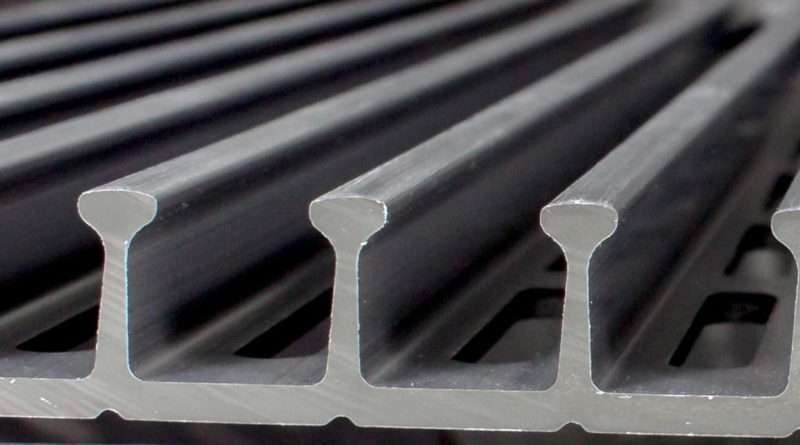 Aluminum is a superior conductor of heat and these cooking grates are made of a thick, solid configuration of this metal. They heat very quickly and transfer that heat more efficiently than any other cooking material. They are available in a wide range of sizes that fit most popular gas and charcoal grills as well as a number of smokers and pellet grills. For the typical gas grill, the cost is around $150USD for a full set. With all the durability of stainless steel, but cut from thick plates of metal, cooking grates of this type can be found on some of the highest end products. 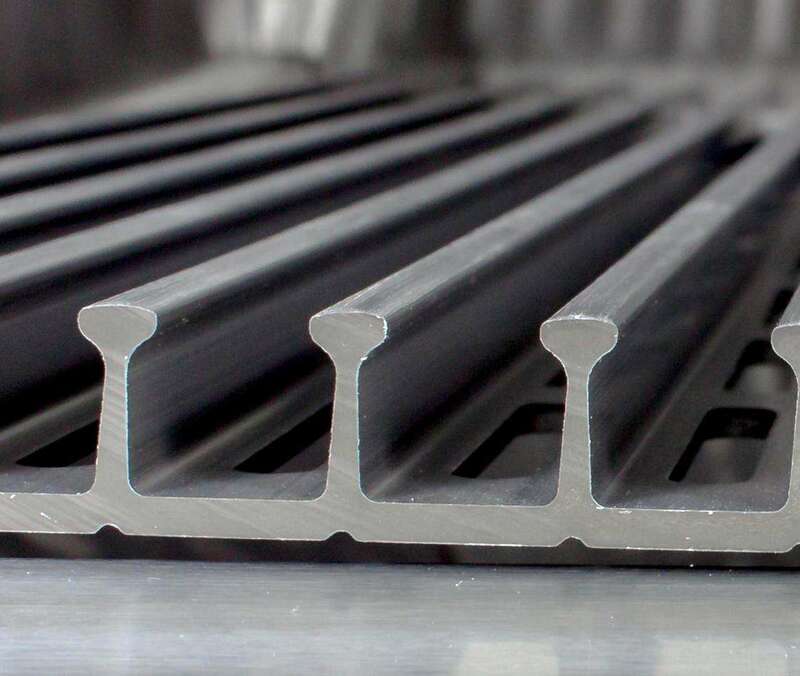 Not only do these grates have the mass to hold and transfer heat efficiently, but their smooth surface reduces sticking and maximizes contact. Best of all, custom made, these grates can carry any design from logos and names to artwork. Look for 300-series stainless steel for corrosion resistance and grates like these can last for decades without a lot of extra care. Prices for these grates will be high. The stainless steel plate used can be as much as a quarter inch thick and the metal alone is expensive. Add in the cost of the laser cutting equipment need to make them. Prices can easily exceed $400USD for a simple design on a smaller grill. Try looking at the fine work at My Team Grate for examples of the possibilities. Cast stainless steel offers the mass for hold heat and the corrosion resistance of the best stainless steel. Cooking grates of this type are found in some of the highest end gas grills and are generally not available in custom sizes. This means that either they fit or they don't and special sizes are not likely to be found. Like the stainless steel plate above, these grates are not cheap. Typically sold in six-inch widths (and lengths between 19 and 21 inches) they can cost between $80USD and $120 per section. Most grills will require three to four sections. 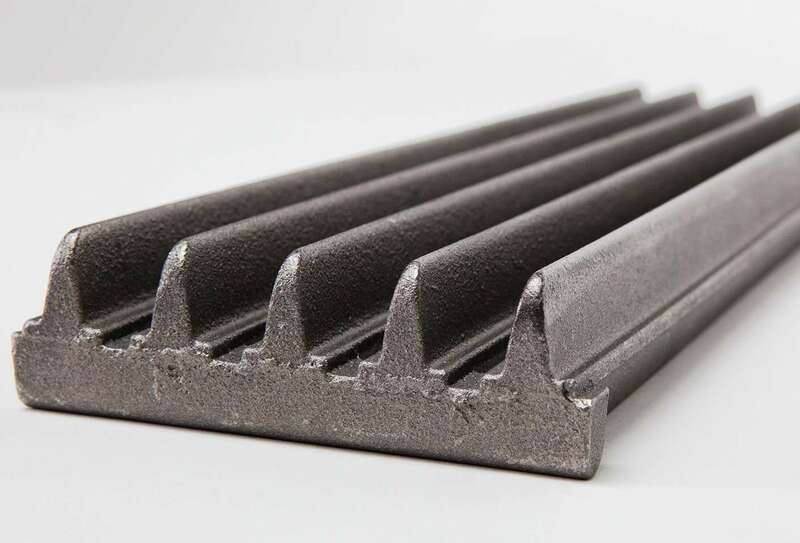 The biggest advantage of these grates is that they offer all the characteristics of cast iron without the problems of corrosion. 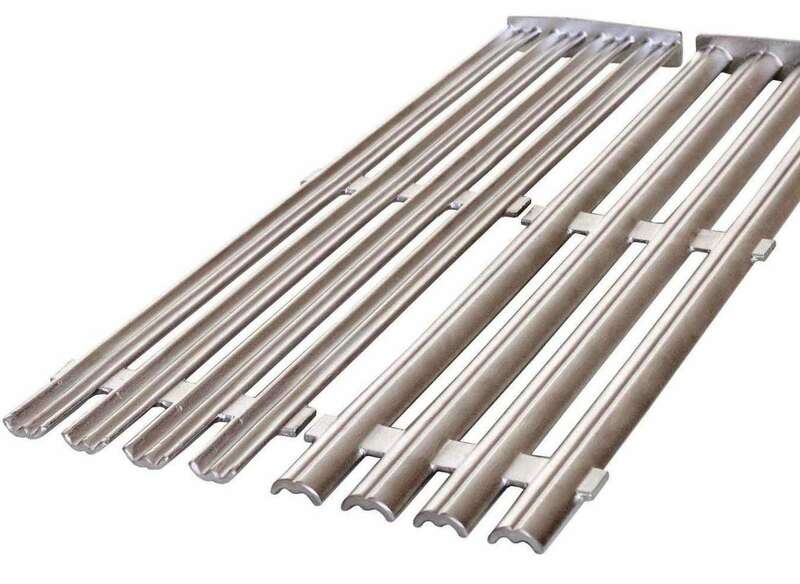 Many grills, particularly gas, use stainless steel rod cooking grates. 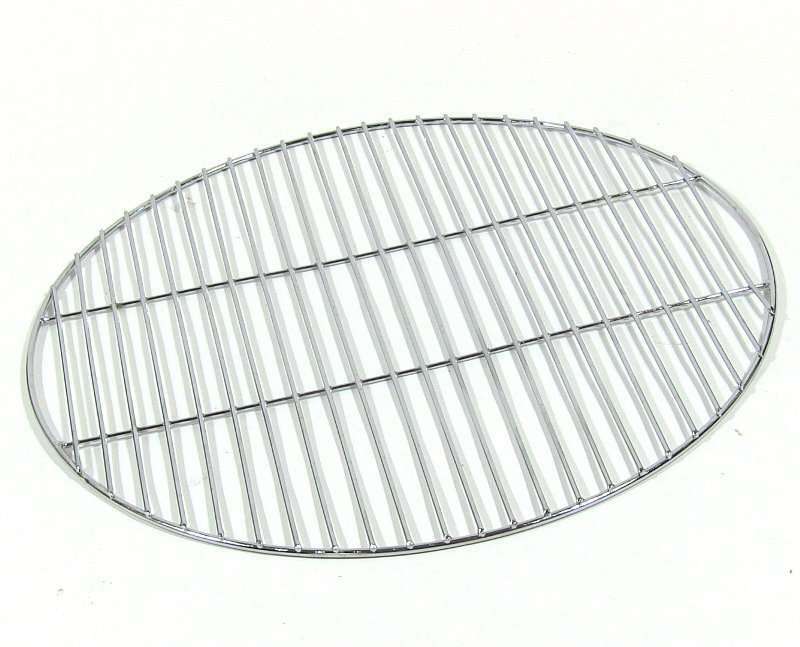 Made from rods of stainless steel welded to crossbars, these cooking grates provide excellent corrosion resistance. 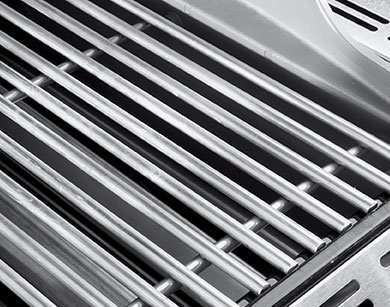 Remember that it is the weight of the grates that provide the direct heat transfer that produces grill marks. The heavier the grate the better. For best results look for 1/4-inch or higher diameter rods. The good news is that since these grates are among the most popular, there is an excellent selection in a wide range of measurements. Also, they are considerably less expensive than the cast stainless grates above. A whole grill can have new, good quality grates for under $100USD. That cast iron doesn't appear higher on the list is going to puzzle and maybe even anger a number of people. The reason that I list these grates where I do isn't that they are not potentially fantastic. The problem doesn't even lie with those that buy them and don't take care of them, after all, the porcelain coating on grates of this type should prevent corrosion and make them as durable as any of the grates above. The problem is that there are a lot of bad porcelain coated cast iron cooking grates out there. Cheap grill makers use them as a selling point and then use bad coatings that chip, crack, and flake. Once this happens the cast iron below will corrode and it can corrode quickly. Also, no one should be eating porcelain flakes. If you spend extra on these grates, take care of them, and get them from a reputable company you will be happy with them. Otherwise, stick so something above. Before the hate mail escalates, let me say that I prefer bare cast iron to all other materials in all my cooking. I make my morning eggs in a forty-year-old cast iron skillet. Grates of this type, particularly the very heavy ones have the best cooking characteristics. The heat retention and transfer is excellent and cared for, they will outlast many of the stainless steel products appearing higher on this list. The simple problem is that most people don't want to put in the work to keep them in the best of condition. Cast iron requires a regimen of care, particularly in an outdoor cooking capacity. High temperatures from the grill can strip away any seasoning quickly, leaving the metal to begin rusting before it has a chance to cool down. If you are going to do the work, get bare cast iron grates. If not, pick something above. Take a look at ManGrate for more information. 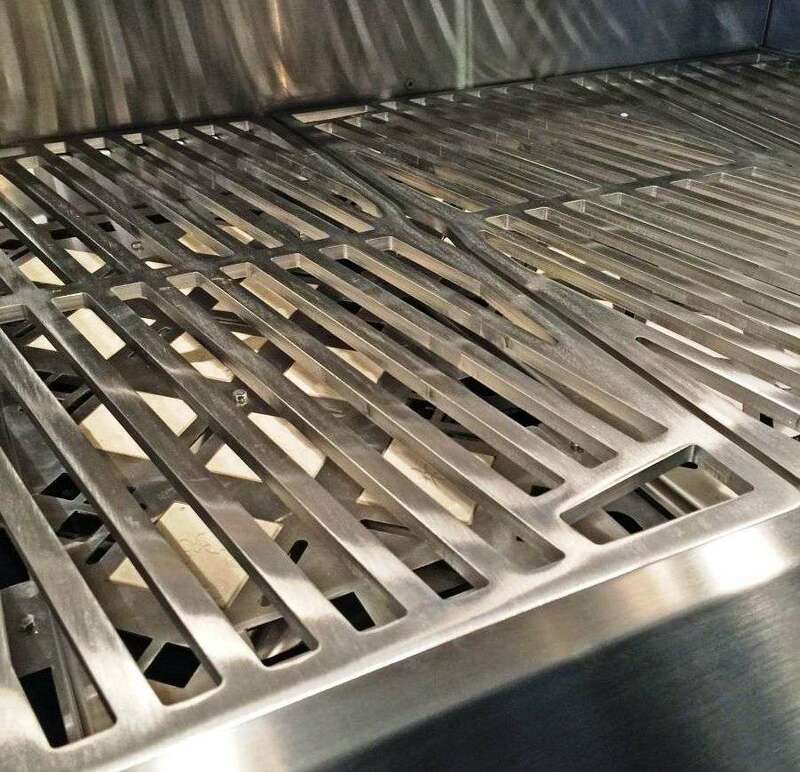 At the bottom end of the cooking grate list are those lightweight, plated steel grates that come standard on far too many grills. The biggest advantage to these grates is that they are lightweight and don't cost a lot for the manufacturer to have shipped. Aside from that, these grates do little more than keep the food from falling into the fire (though they do that too). It is because of this style of cooking grate that many of the aftermarket makers got into the business. I list in this category any cooking grate that is basically thick steel wire coated in something whether is it nickel, chromium, or porcelain enamel. 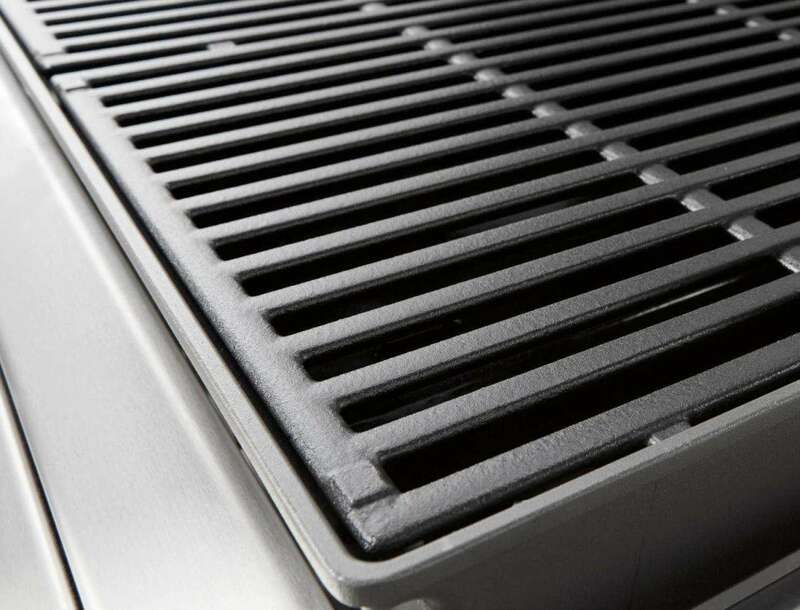 While not necessarily bad, these grates don't add to the cooking process. The other advantage is that they are cheap to replace.